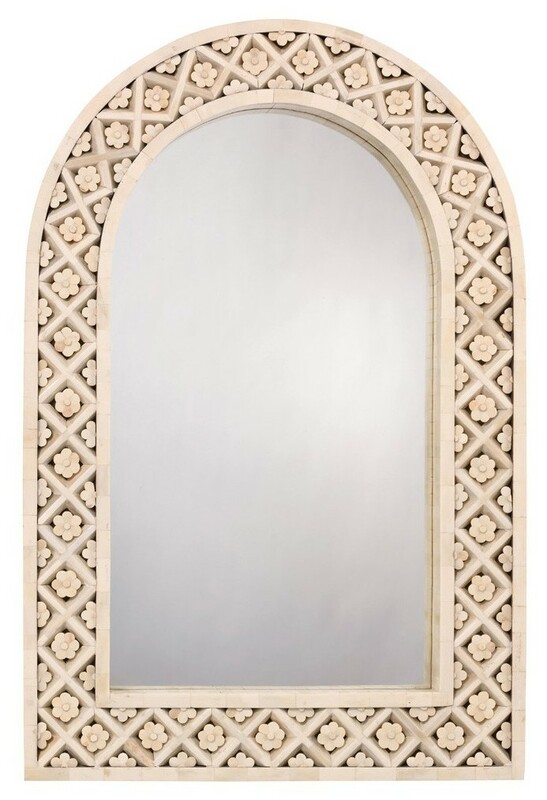 The Royal Palace mirror has a beautiful, hand carved, floral design incorporated into the border. 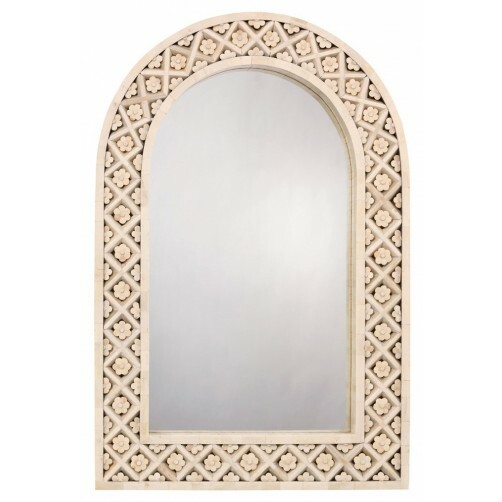 This delicate soft touch paired with an arch shape, adds a classic and timeless aspect to the style. Striking wood and white bone construction completes the elegant look.